Lots of people have been interested in Greenland because of its cameo in the movie ‘The Secret Life of Walter Mitty’. Which was, by the way, filmed entirely in Iceland. Even so, it’s given Greenland some coverage – even if they joke that only eight people live in Nuuk and the city is so much nicer in real life! When I was looking for information about Greenland before I got here, I found it quite difficult to find anything of value written by individuals. I probably wasn’t looking at the right places online, but that’s also the point – it’s hard to know where to find information if you don’t know where to find it. Here’s my pick of blogs about Greenland in no particular order that I discovered while cyber-surfing. If you want to learn more about real-life here, about tourism, about being a foreigner, about dog mushing, about hardship and hopes, try some of these. Most are written in English, a few are in Danish. A German woman who moved to East Greenland nine years ago bravely entered the world of writing last year. She’s married to a Greenlander and writes about living and hunting in Ittoqqortoormiit. All I can think is that she’s my hero, to have the guts to do what she’s doing! 2. 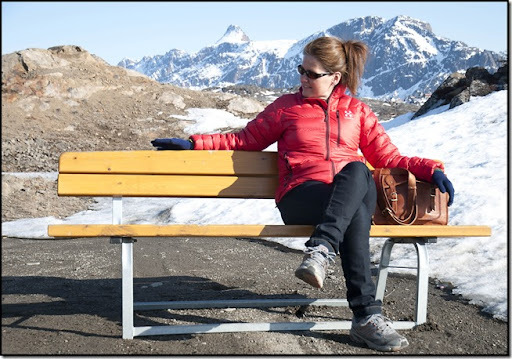 Filipina in Nuuk: Freezing but certainly not leaving! It’s not always easy being an immigrant in Nuuk – and there sure are lots of Filipinas! Dani’s not afraid to share what she thinks and I respect her for that. A young and socially conscious Greenlander originally from Aasiaat, Naja is an artist and a political and social sciences student at the University of Greenland. Her latest claim to fame was giving a speech on her vision for Greenland at the Arctic Circle Assembly. Dorthe’s been blogging for awhile – since 2007 on this gig in fact! She writes in Danish about everyday living in Sisimiut – about knitting, northern lights, about storms and everyday life just above the Arctic Circle. Anne Rønne is a journalist/academic who is in Nuuk with her partner in crime who upholds law, Mads. She moved here at the beginning of 2013. She posts pictures, providing funny little insights about life in Greenland along the way. For example, she tells you why this star decoration isn’t quite Greenlandic! Gary Rolfe is an expedition dog musher living in Ittoqqortoormiit, Greenland. He’s originally from New Zealand but never dreams of going home. Greenland Travel Guide is just that – giving one inspiration to . It contains tasters for what is amazing about this country, and tips for how to get around. I do a bit of armchair travelling myself researching and writing this for Greenland Tours! Why people run, I don’t know – but Thomas makes a pretty good case for it! He writes about running around in the Arctic, not only in the summer but also in the winter! He’s got all these funny specialist shoes to do it too. A Nuuk resident writing in Danish. Not exclusively about Greenland, Ji Chang writes about exploitation of the natural industries. Greenland has popped up more often in her blog posts recently! Kunuk Brøns is showing his home city of Nuuk through his stunning photography. The featured photo for this blog is by the way his! The next three blogs are not so regularly updated anymore (if at all) however they were too good to leave out! Sitting at home in Copenhagen, Christine applied for a physiotherapist job north of the Arctic Circle. Being the only one who applied for the job, she got it. She spent 2.5 years in Sisimiut, and late last year returned home. It’s a great collection of stories and pictures so I’m including this link even though it’s no longer updated. This blog is also too interesting to leave out too. Mikkel writes as a high school teacher from Sisimiut. He gives his some valuable ideas on how to understand the Greenlandic culture. If you’re a teacher, work in communication or just want to understand how people interact in Greenland, you should read this blog. Leif Petersson was a contracted painter who serviced the Greenland Command in Grønnedal, the former Danish navy headquarters of the Arctic. 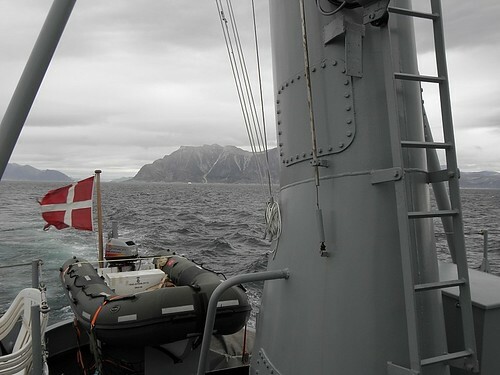 Grønnedal was largely disbanded, the Faroese and Greenlandic commands merged, and the headquarters moved to Nuuk. Petersson lived in Greenland from 2004 – 2011. This blog is about a sweet American dog lover who also happens to be an ecologist. Oh and moved to Greenland from late 2014 to early 2016. She’s since moved back to Alaska where she previously lived. This missionary family from the Netherlands focuses on life in East Greenland. They have lived here since 2014 and are trying to build a mission house in Tasiilaq. The blog is in Dutch. Well, that’s all for now! You might ask why I’ve only included two blogs from native Greenlanders. It’s because I can’t remember seeing more while lurking around on the internet. And if you’re here for the first time at The Fourth Continent, I should probably also mention that I’m also a blogger based in Nuuk, Greenland! So if you’re a blogger from Greenland who would like to be found, or you’re a fan of another cool or interesting Greenland related blog please comment below! I love your story, so inspirational! Greenland is beautiful! I love your story, inspirational! Greenland is beautiful! Thank you so much, Sophia! =) Very kind of you to say. Hi Dani, email me tanny.por at gmail and I will get your number. 🙂 I can this afternoon but maybe it is too short notice. Thanks for including me here – hopefully I’ll write more about Greenland this year. Welcome! =) Look forward to seeing what you come up with! Wow nice blogs .here is all nice blogs .thanks for sharing. Thanks for reading! Do you work at this helicopter company? Oh and Ruth – has the sun returned yet?? Great to see all these beautiful blogs at one place.